Earlier today we attended the very elaborate launch of mobile operator Econet’s new service called the Econet Connected Car which is part of a new range of products that Econet is calling Connected Lifestyles. 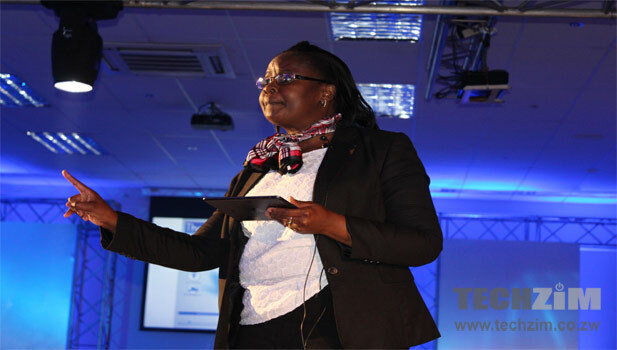 The main delivery was by Dorothy Zimuto, the COO for Econet Connected Car, who outlined Econet’s ambition to ensure that most of the over 1.2 million cars in Zimbabwe would be connected within a few months. The Econet Connected Car is basically a car tracking product. It offers fleet management services through value added services such as the Connected Car Mobile Application which is available for download from Google Play and the Apple store. At face value this looks like another attempt from Econet to exploit its network to shore up revenue opportunities in unrelated segments. We’ve already seen Econet’s investments in health and education in the past 4 months and now they are wading into car tracking and fleet management. To the operator’s credit though, in a world where telecoms revenue need out of the box thinking (can’t only rely on EcoCash apparently) the service is a quick way to push an old service (guys like Trac-king have been on this tip for ages) with the strength of its “Eco” brand. However one wonders what will be left if the telecoms giant has its hand in every sector. The product is no doubt focused at fleet management, judging from its selling points for vehicle monitoring which is always a concern for any handler of a fleet of sorts. Individuals are also being catered for though.Through Econet Connected Car an individual user can get the personal vehicle management service option which enables the vehicle to carry out regular self-diagnosis and offer reports to its owner. Other functions include geo fencing and driver habit monitoring. The service has once of connection fees of $50, $100 and $199 for consumer, corporate and personal packages with each carrying monthly costs of $20. You can read the press release for the Econet Connected car below. Any reasonable business minded individual will understand that what Econet is doing is simply expanding its business influence. Horizontal and vertical integration/growth. When you make a profit you do not spend all of it like most Zimbos do. Watch and learn, plough back profits into the business and grow. When you grow the better you become. if Tich had said “its more expensive” then you could have asked for a cheaper one. Tich is not comparing it to any other service in this case. For sure these guys will become another TN- a finger in every conceivable pie. They are squeezing out competition because of their financial muscle. I wonder what CTC will say about Econet using the Ezy Track, Car Tracking databases which they hosted before to approach customers and offer a cheaper product. Harvesting where they did not plant at all!!! I thought the product was launched today. Its either you are retarded or brainless. How can they have approached Ezy Track customers with a cheaper product if they have launched it today? Econet might end up becoming to Zimbabwe what Samsung is to South Korea. They say 25% of South Korea’s GDP can be attributed to the Samsung group. Not sure how I would feel about Econet or any other organisation in such a position though. But props were props are due – VANOFAMBA NEBHORA! To me it’s not a new launch but re-launch and rebranding. Econet had once had this vehicle tracking system in 2000-2001 there about and it didn’t work out well for them and i guess they had been working behind the scenes to perfecting it for this second relaunch. Econet is one of those companies that are distributing the track modules to individual companies and maintained their own databases.I just want to ask one thing, Can you please help me in taking car detailing service in SF Bay Area? econet is making it big , theres no reason to stop going forward ,they are making zim a better place , creating room for employment and an opportunity to shine for everyone, developing us students through scholarships ,whatever econet does i say go econet!